The Meizu Pro 5 may sound like just another cost cutting Chinese smartphone, but rather than your traditional Android fare this handset’s got something different going on. It’s not easy to break into the mobile operating system (OS) game. It’s a market dominated by Google’s Android and Apple’s iOS with Microsoft’s Windows 10 Mobile doing its best to keep up. That’s not stopping Canonical though, the people behind Ubuntu OS, which is now starting to get its operating system onto phones. 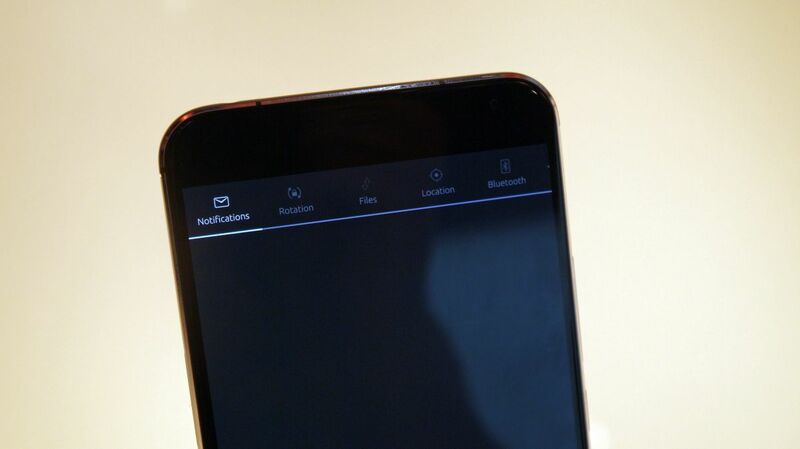 The Meizu Pro 5 was shown off on the Canonical stand at MWC 2016, and a quick look down the spec sheet suggests it’s not here just to make up the numbers. It sports a 5.7-inch full HD display, Samsung 7420 Exynos octa-core and a pre-order price tag of just $369.99 (around £260, AU$510) – putting it in direct competition with the likes of the OnePlus 2, OnePlus X and Moto X Style. There’s a full metal body for a premium look and feel, even if the design is more than a little bit iPhone 6S. 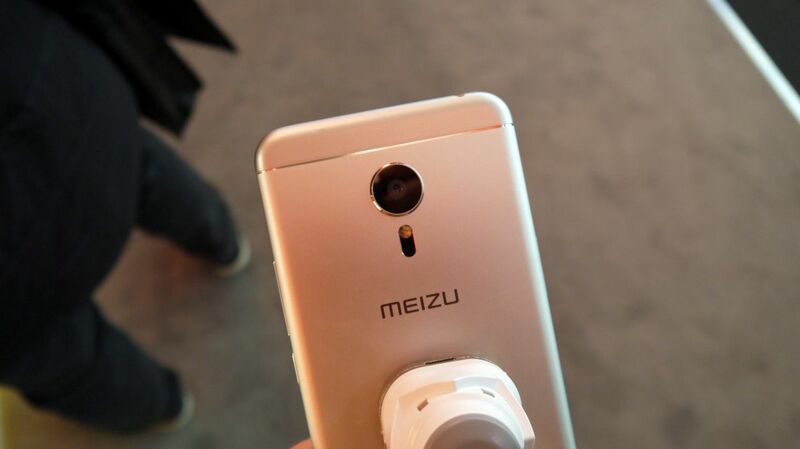 The rounded corners and slender 7.5mm thickness bare more than a passing resemblance to the current crop of iPhones, but that does mean the Meizu Pro 5 is a decent looking device. Your volume and power/lock keys are located on the right side within easy hitting distance of your thumb or fingers, depending on which hand you’re holding it with. 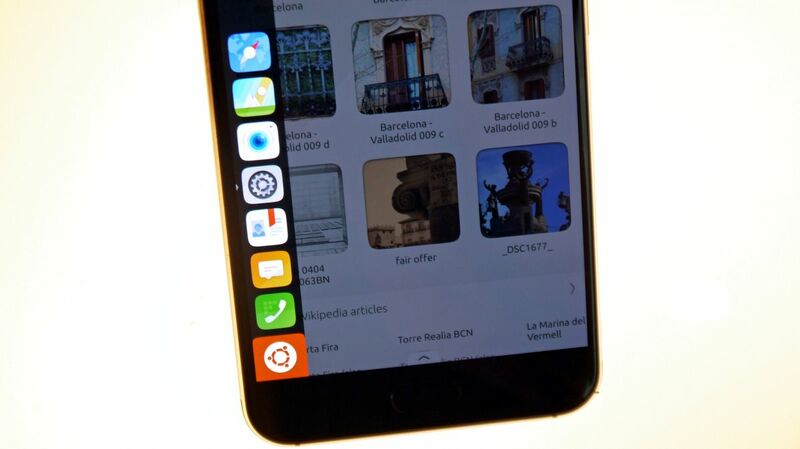 On the other side of the Pro 5 Ubuntu Edition is a dual micro-SIM tray, allowing you to pop two cards into the handset – perfect for those who do a lot of travelling. The front is dominated by the sizable 5.7-inch full HD display which is bright and clear, although the colours aren’t as vibrant as I’d expect from an AMOLED panel. 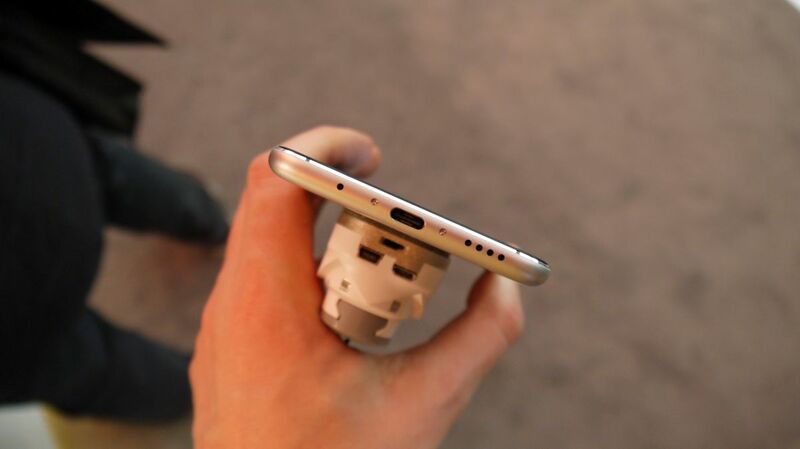 Below this is a physical home button which also incorporates a fingerprint scanner. I was unable to test its quality during my hands on time, so you’ll have to wait for our full review to find out how it performs. It’s all pretty standard so far then, but take a look on screen and things are very different. Android and iOS have become closer and closer in style over the past few years, so approaching Ubuntu is a confusing experience. I found myself struggling to get to grips with even the basic navigation to start with, with a series of panels making up your homescreens. You get Nearby, Apps, News and Photos. Swiping over the screen allows you to jump between panels – but even this simple command didn’t feel overly smooth. 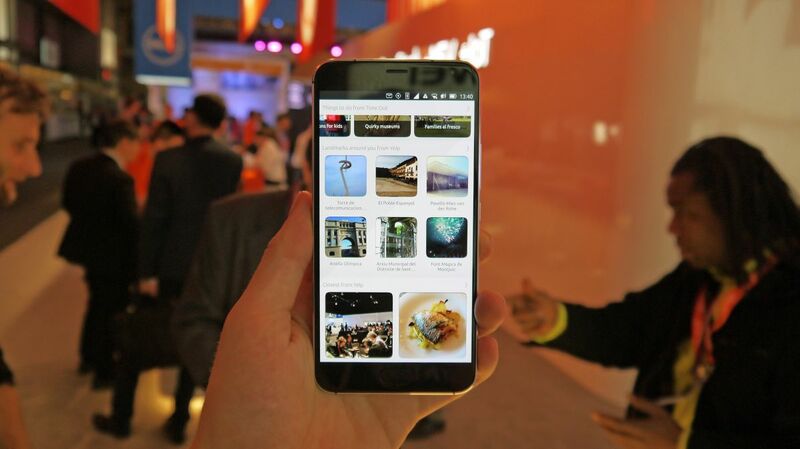 Considering the Meizu Pro 5 Ubuntu edition packs in Samsung’s punchy octa-core Exynos 7420 processor and 3GB of RAM the interface to noticeably laggy. It’s a slow, slightly infuriating learning curve which will put users off. I’m all for change and variety, but I didn’t find anything particularly natural about the Ubuntu UI. The one bit of salvation came when I swiped down from the top of the screen to access the notification bar, which also has a selection of quick settings. 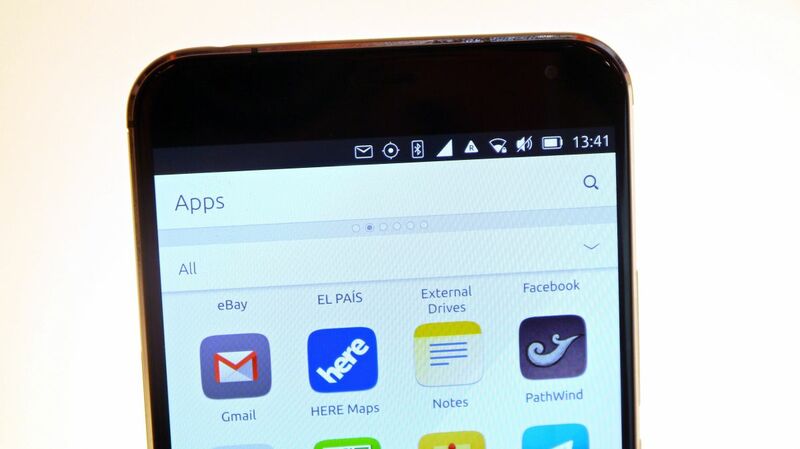 Swipe your finger in from the left of the display and you’ll pull up a column of favourite apps, allowing you to jump to your most used with ease – and this was a positive feature from the Ubuntu OS. Trouble is, for those who love their apps there’s a serious gap between the offering here and that of Android and iOS. A handful of big names have got on board, but you’ll find many of your regular favourites will be no where to be seen. Canonical is working hard with developers to address this, but as things stands it’s miles behind in terms of depth. A powerful 21.16MP camera resides on the rear of the Meizu Pro 5 Ubuntu Edition, while up front you’re treated to a 5MP snapper. Picture quality isn’t actually too bad, but the camera app is rather laggy which sort of spoils the experience. Ubuntu is still very much in its formative years, and there’s a long way for it to go in terms of design and performance before it can start worrying the big players. Overall the Pro 5 is a solid smartphone with decent specs and premium design, but it’s badly let down on the software side which will make it a very difficult sell against Android toting rivals.